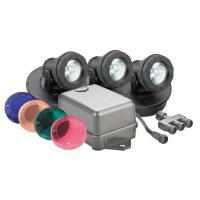 3 Light Set with Transformer - ONLY 1 LEFT! Decorative low-voltage halogen lights can be placed underwater or along garden paths as walkway lighting. Three unit configuration with transformer and 4 interchangeable colored discs. 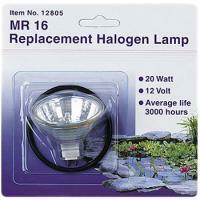 Replacement Lamp for Submersible Light Kit - ONLY 1 LEFT! 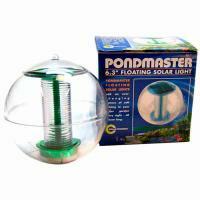 Replacement 20 watt lamp and "O" ring for PondMaster submersible pond light kit.